Named as one of the ten paradises of the world by National Geographic Traveller, Kerala is famous especially for its ecotourism initiatives and beautiful backwaters. 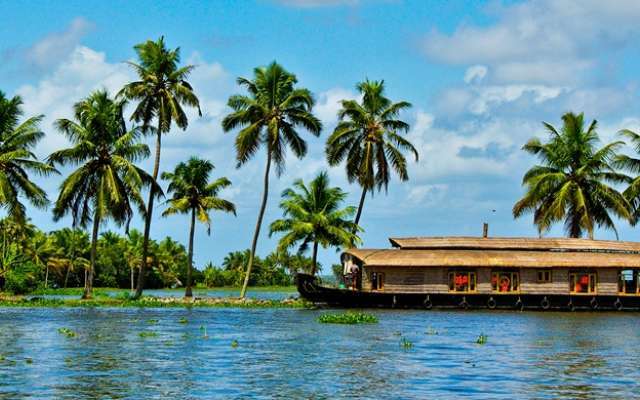 Its unique culture and traditions, coupled with its varied demography, have made Kerala one of the most popular tourist destinations in the world. It’s most famous traditional art forms including Kalaripayattu – a battlefield and combat art form – originated in Kerala is one of the oldest surviving fighting systems in the world and Kathakali – the classical Indian dance form originated from Kerala, keeps this beautiful place with its beautiful chaming beaches, food, culture, festivals, temples, backwaters, house boats, spices as one of the major tourist destinations in India. Kerala – known as God’s own country is one of the most beautiful places for Yoga practitioners as well as traditional Ayurvedic enthusiasts and martial arts lovers. It is considered as one of the most safe and peaceful Indian states. Trichur is considered the cultural capital of Kerala because of its spiritual, cultural and religious leanings throughout history. One can visit an array of beautiful temples and churches that become a hub of activity during the festive period in the city. Guruvayur – a pilgrimage town of Kerala, It’s known for centuries-old, red-roofed Guruvayur Temple, where Hindu devotees make offerings of fruit, spices or coins, often equivalent to their own weight. Nearby, Mammiyur Mahadeva Temple contains shrines to the deities Vishnu and Shiva. Neighbouring Palayoor, St. Thomas Church is believed to have been established by the apostle St. Thomas in 52 AD. Nearby Manathala Mosque is an ancient pilgrim centre for the Muslims. Guruvayur is a real example for kerala’s is famous communal harmony and diversity. Enjoy Yoga & Meditation Sessions on the beautiful beach. Escape to this secluded and serene Beach front wellness retreat centre and experience the Total Body Rebalance program designed to restore and rejuvenate a tired body, tense mind and weary soul by focusing on balancing the Three Chakras of Life: The Physical, Psychological and the Physiological. Enjoy beautiful Kerala – God’s own country, with 200hrs yoga teacher training or one-week yoga retreat, at the perfect location to relax, unwind and enjoy the full benefits of this unique program. We provide you with the right environment, support, education and the tools to lead you onto the path to complete wellness! Join the 200-hour Yoga Alliance registered yoga teacher training program in the tranquil location, is perfect for you to study in an environment that promotes concentration, inspiration, and excellence. Led by instructors with a profound knowledge of yoga, this course qualifies you to be a well-trained yoga instructor. During this program, the instructors will build your passion for yoga while instilling the essential methods you will use as a successful teacher. Upon completion of this yoga teacher training, students will receive a certificate affiliated with Yoga Alliance. Registration with Yoga Alliance provides a globally recognized credential. In this 200-hour yoga teacher training, you will study in an environment that promotes concentration, inspiration, and excellence. 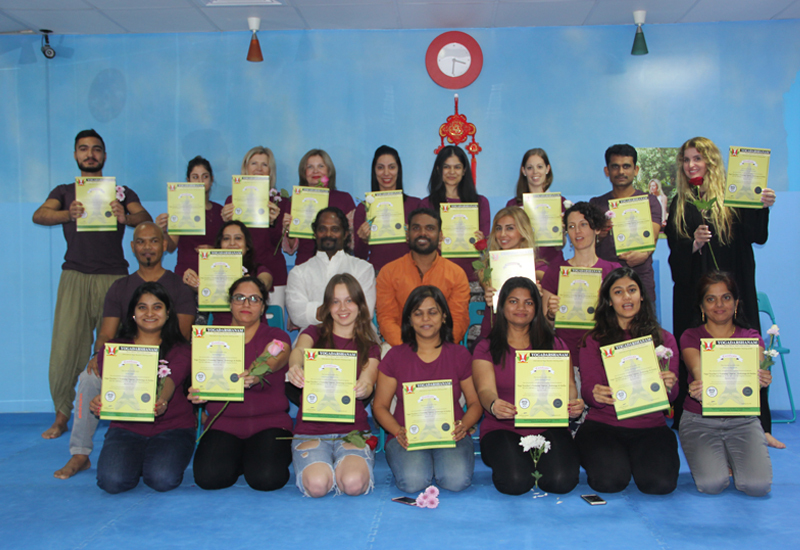 As one of India’s best yoga teacher training program, the course includes everything from advanced physical postures, to helping in overcoming your mental limitations. With your highly trained teachers, serene tropical location, and the optimized environment, you can expect to make rapid progress toward your goal of becoming a qualified yoga teacher. You will be introduced to all the basic styles of Hatha, Ashtanga, and Vinyasa flow. Once you have completed the 200-hour training, you will have a good idea of the advanced areas you want to explore. Your understanding of the vast concept of yoga will begin to take shape. You will have new purpose in life to teach, learn, and unlearn. This training is specifically designed for students who already have a basic knowledge of yoga and want to develop a deeper understanding and mastery of the mind, leading to self-realization through this beautiful spiritual practice. This 200-hour program immerses you in yoga, its philosophy, anatomy, pranayama, Ayurveda, and yogic diet. It is very well structured to help a student understand the basic foundation of yoga to build a strong base in order to begin the journey as a yoga teacher. The classical approach to yoga gives out students a direct insight into what yoga actually is all about. Your course is based on the four paths of yoga that will touch and rediscover the subtle part of being a student. These four weeks will showcase the entire dimension and the vast expansion of yoga understood and practised in the east. This satisfies the very reason why a student wants to travel from around the globe to India to seek this traditional root knowledge of yoga passed down by the ancient yogis through their intense meditation and sadhana. Throughout the course, the four paths of yoga is entwined along with the precious knowledge of the yoga sutras of Patanjali. This opens a seeker, a student to the vast philosophy of yoga preparing him or her to pass on this methodology called yoga to their future students. Students will be encouraged to teach peers during the second week of the course. This will start by teaching each other on group basis initially. You will then proceed to device and deliver your own lesson plans individually. Your teachers will provide tools and key instructions necessary to improve your teaching skills every week. This would eventually facilitate you to prepare your yoga class and your final practical. Your last week will be the most memorable part of the course as you will showcase all your capability and everything that you have learnt throughout the course. Participating and providing valuable feedback in the classes conducted by the peers and teachers makes a student fully confident and ready to teach after the certification. The comprehensive course will familiarize you with the tenets of yoga philosophy and history, will help you intensify and master yoga asanas in tandem with their effect on anatomy. You will observe daily pranayama and meditation along with chanting so you understand their strengthening and balancing properties. Bring you an understanding of yogic discipline, diet and cleansing rituals and you will be taught how to go about becoming a good yoga teacher. Yoga teacher training course specially designed for beginners, intermediate and advanced level yoga students. An intensive yoga teacher training course taught by yoga teachers who are firmly rooted in tradition yet contemporary in their vision & communication. Loving and caring support team. Opportunity to experience Indian culture and tradition. Principles of anatomy-physiology & psychology with Yogic Science. Techniques and practice make the bulk of the training as 100 hours are allotted to that. Methodology takes up 25 hours while 20 hours go to learning anatomy and physiology. You need to devote 30 hours to philosophy and ethical conduct. For electives, there are 15 hours and 10 hours for practicum. Don’t forget to behave during your teacher training course. Be gentle; be respectful of your environment and of all your companion and try to always be mindful but caring during your journey. Remind that your behavioural observations will be considered in your Yoga Teacher Training certification. Please note that the food we provide to you during our YTTC is vegetarian and based on the sattvic diet to deepen your experience even more. Combining ancient and modern sciences – providing you the Best! The wellness retreat offers you an individual consultation with our in-house Ayurvedic doctor, where you will learn about your body type and any imbalance according to Ayurvedic principles. The aim is to identify where the imbalance is stemming from and provide advice to address your wellness concerns. With constant exposure to modern-day toxins through our food and drink, the air we breathe, what we put on our skin; and even by the way we think! We compromise our body’s ability to function properly and to heal itself. The toxins if not eliminated can quickly get clogged up, leading to toxins getting stored in our cells and joints. Our wellness retreat offers you an intense cleansing and detoxification program designed to rid the body of toxic waste and all that the body does not need to hold on to with daily enemas, fasting meals plan, dry skin body brushing and all the other elements. Leave the retreat feeling revitalized and complete rejuvenated with increased energy and immunity while also gaining knowledge of personal health and wellness for you to take home. We have our Modern and Ancient Methods to assess your body’s Physical, Psychological and Physiological systems. A comprehensive multi discipline assessment will help us identify potential causes from various angles and improves rate of success. We assess total body and visceral fat levels, BMI, biological age and muscle to fat ratio. This is done with body measurements at the beginning and the end of the retreat so we can monitor progress and calculate loss in centimetres. We also do a before and after check of your blood pressure, pulse rate, respiratory rate and very importantly your body pH as the retreat is geared at alkalizing the body. The results of all assessments will be discussed during your Doctor’s and Nutrition Consultations and advice will be given based on your results. Our Ayurvedic therapy treatments are a fundamental part of the wellness retreat and play an important part in not just the detoxification and cleansing process, which help to relax and rejuvenate your body. Through a combination of therapies from around the globe our spa therapy sessions include beauty and pamper, as well as healing treatments, prescribed depending on your individual needs. Our menu includes special Ayurvedic wellness treatments with therapeutic benefits for certain ailments, using medicated oils and herbs. The Ayurvedic treatments included aid in cleansing and detoxification, boost lymph drainage, break down and elimination of fat cells and promotes self-healing to rebuild, rebalance and relax. Yoga embraces not just the physical aspect of health but the physiological and psychological. The approach of yoga in removing the toxins from the body includes meditative techniques and other practices. Hatha yoga our primary style of practice, achieves body detoxification through the various asanas, pranayamas, and mediation. These techniques work on the energy flow in the body and remove any blocks that facilitate accumulation of toxins. Yoga and meditation helps in detoxification at the mental and spiritual level by increasing the pure blood flow to the brain thus relaxing the mind. With the daily practice of yoga and meditation, we hope to inspire you to make this a part of your lifestyle for continued benefits. The group educational talks and workshops conducted daily is directed at providing you with tools to carry on implementing new ideas and to empower you with the knowledge and confidence to manage your well being. While you are at the retreat there is so much more you can explore. Be it Mind Power Sessions to practice the Law of Attraction or Learning Mediation Techniques. From getting a Chakra Reading to clearing your aura using Pranic Healing, we offer you a wide range of holistic therapies that you can add on to your retreat depending on your need. The price of this retreat includes daily good vegetarian food as a very essential part of your yogic diet and journey. You will have healthy organic food throughout the teachers training course to help calm your body through a Satvik diet along with the daily asana practice. An array of delicious organic vegetarian diet will help achieve a strong concentrated state of mind, which is the primary goal of yoga. By Railway: Guruvayur is connected to trains and from the train is available to Guruvayur from the nearest railway stations Angamali or Alwaye. By Bus: The town is well connected to bus services every day from the Cochin Airport. The distance is 82 kilometers and the travelling time will be less than two hours. Taxi Pick Up: We can arrange taxi pick up from the airport, railway station and bus station at an additional cost. Of course, you may come across aplenty of courses and programmes on theatre and filmmaking in Dubai and so why should you consider a new workshop, offered by Golden Fist in association with SUNYA? How it’s different? Let’s see whether we can help you in this. workshop will help you to horn your skillsets. The workshop is available for both children and adults in separate batches. There are two kind of take aways from this workshop. The workshop will give participants practical exposure into various aspects of acting, theatre and filmmaking. The workshop will help the participants to identify their skillsets in these areas. Participants, both children and adults, will find ample of resources from this workshop which is applicable in whatever they do, not only acting or filmmaking. It’s been proved that different techniques, methods and approaches from the world of acting, theatre and filmmaking can be effectively applied in personal development in various levels. Through the medium of theatre, games, activities and filmmaking exercises, this workshop helps attendees to pick skills in areas like team building, team integration, confidence building in individual and group level, responsibility and efficacy in execution, public speaking skills, presentation skills and many more. Subtle nature of the programme may bring better results, we believe. The workshop is highly ‘practical’ in nature. And at Golden Fist, the Martial Art Academy, we believe in practice and would like to offer people anything that is practical! 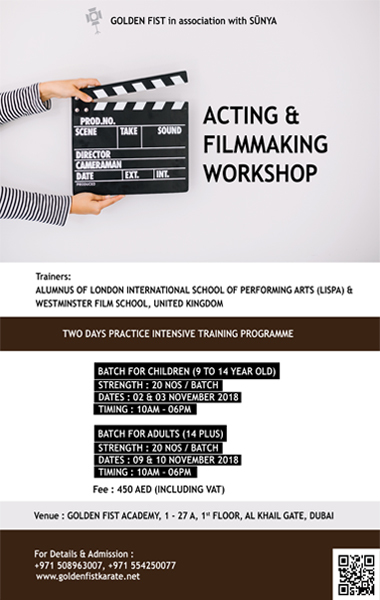 ✦ Acting & Filmmaking Workshop gives the participants opportunity to explore various aspects of theatre and film under single programme which is not that common. ✦ It’s a 100% practical programme. Enriched with galore of games and activities. Lots of fun guaranteed. Primary learning process is through making a shorty film by the participants. And so, from day one, the workshop will be on project mode. During this practical process participants will naturally get exposed to different aspects of acting and various procedures involved in filmmaking. ✦ Workshop will have screenings of video clips and movies, just to make sure that the fundamentals of acting and filmmaking are addressed briefly. ✦ Workshop will have a quick look into the future of media. ✦ Workshop will have only limited number of participants means individual attention for each candidate. ✦ Last but not least, the short film which the workshop produces will be a showreel for each candidate showcasing his or her skills.